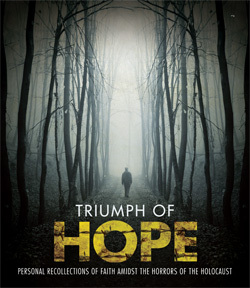 Triumph of Hope is a 25 minute film accompanied by a 50-minute JLI learning experience about finding faith during difficult times. 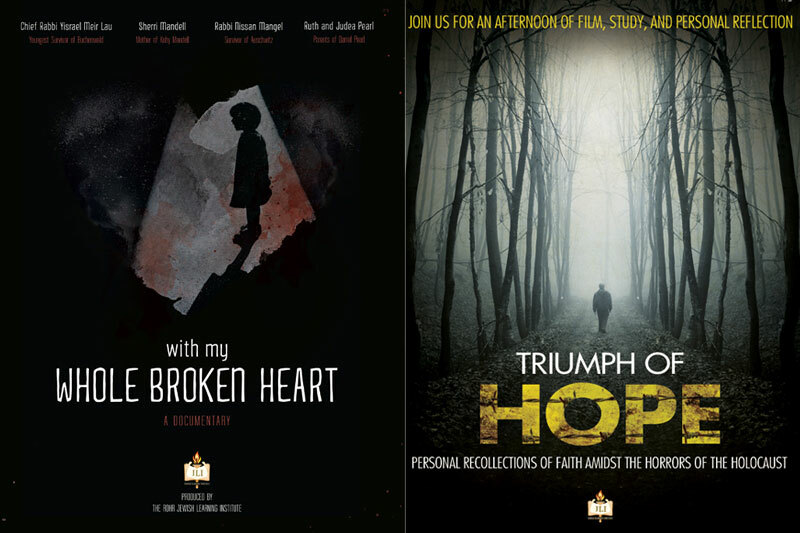 With My Whole Broken Heart is a professionally-produced and emotionally-gripping 45-minute film featuring heart-wrenching stories of valiant parents whose children’s lives were claimed by terror and their inspiring responses to their horrific experiences. The documentary also follows the lives of two of the youngest survivors of Auschwitz and Buchenwald who emerged from the darkness and transformed the Jewish landscape. The film is framed around the Rebbe’s response to the 1956 terror attack in Kfar Chabad that claimed lives of 5 students, and features interviews with Daniel’s parents, Ruth and Judea Pearl; Sherri Mandell, mother of Kobi Mandell; former Israeli chief rabbi, Rabbi Yisrael Meir Lau; and Rabbi Nissan Mangel. The film is a professionally-produced, 25-minute, emotionally-gripping and intense documentary featuring holocaust survivors recounting their own memories of bitachon, mitzvos performed, and Jewish identity maintained in the most horrible moments rnmetdt. It weaves together their personal recollections, stories, and sentiments along with a rare video clip of the Rebbe speaking about the Holocaust. This entry was posted in New Offerings. Bookmark the permalink.